Looking for an upriver location? You have found it. This home offers an open concept living room and kitchen. Enjoy the woodstove on those brisk winter evenings. Large windows frame the lush mountains and beautiful Rogue River views. 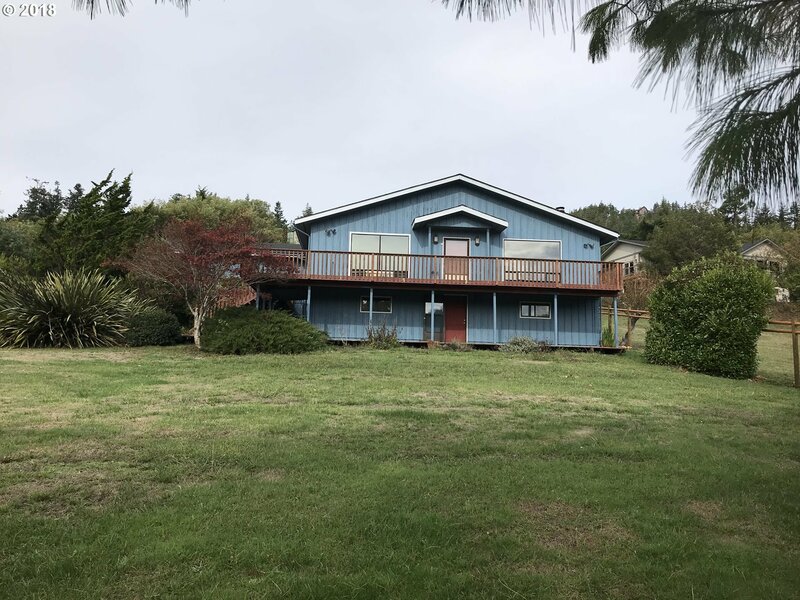 Expansive deck with plenty of room for your outdoor entertaining and soaking up our fresh Oregon Coastal air. There are 2 master suites with their own slider doors to the back patio and expansive yard.